With today’s rapidly evolving workforce, many organizations are challenged with effectively and proactively preparing for the future. With UltiPro®, you can create flexible, comprehensive, and executable succession planning strategies at all levels to help your organization prepare for a successful future while reducing costs associated with talent acquisition. UltiPro’s succession planning solution helps your people define their career aspirations and develop readiness to step into key leadership positions. 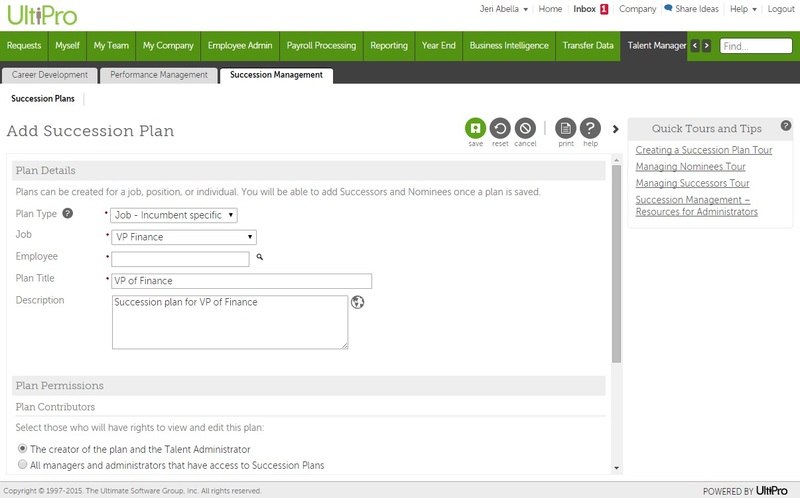 Watch a short product tour of UltiPro Succession Management to learn more and see how UltiPro provides the right tools and technology to proactively plan for organizational and workforce management changes.